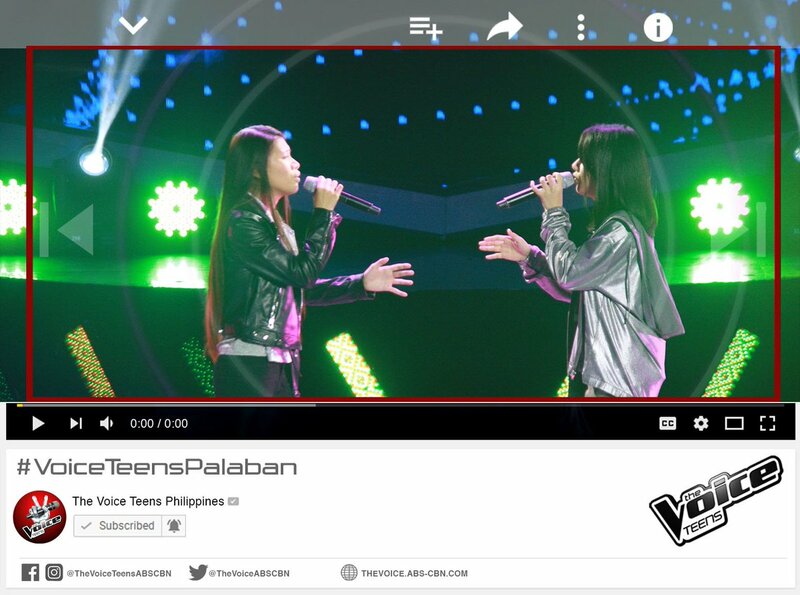 Nisha Bedana and Erika Tenorio from Team Sarah Tenorio sing ‘Nothing Compares 2 U’ on The Voice Teens Philippines Battles on Saturday, June 10, 2017. “I like the pairing and the contrast of the style,” said Bamboo. “I really felt more passion from Nisha,” said Sharon. “There are similarity on vocal side but more experienced with Nisha,” said Lea. In this round, the coaches pit two of their own team members against each other to sing the same song together in front of a studio audience. After the vocal battle, the coach must choose which of his/her singers will advance to the next round of competition, while the losing artist is available to be stolen by another coach. Each coach has steals available during the Battle Rounds. At the end of the Battles, only the strongest members of each coach’s roster remain and proceed to the Knockout Rounds.